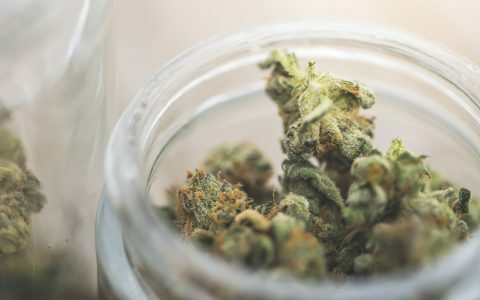 Ashtrays are an often-overlooked part of the cannabis consumer’s repertoire, despite being one of the most frequently used. 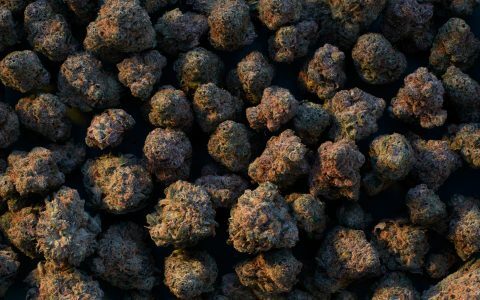 Every smoker needs a place to ash, and with so many cool ashtrays to choose from, you can find one that perfectly suits your tastes and needs. Perhaps you’d like a centerpiece for the coffee table that adds artistic flair, or something minimalist that will vibe with your décor. 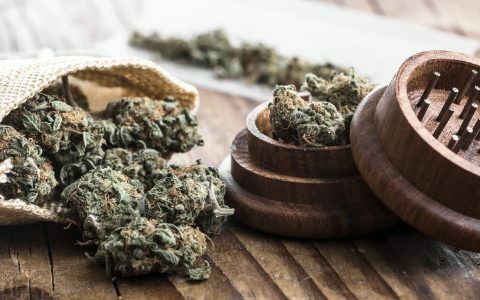 There are even some with built-in tools that make life a little easier, keeping your space clean and cannabis odors at bay. 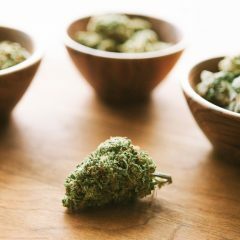 Below, discover 22 of the coolest ashtrays on the market, all with their own unique style or purpose. 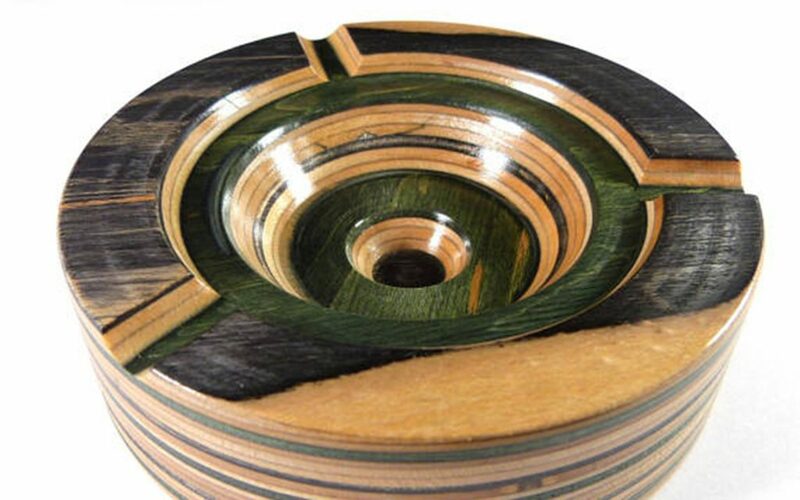 Colorful and unique, this skateboard-turned-ashtray is perfect for the avid skater or those who prefer upcycled products. 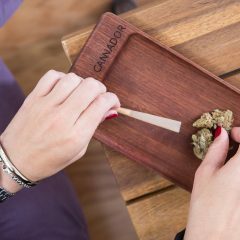 Combining function with form, this bamboo ashtray features a nook for your lighter, so you’ll always have it at hand. 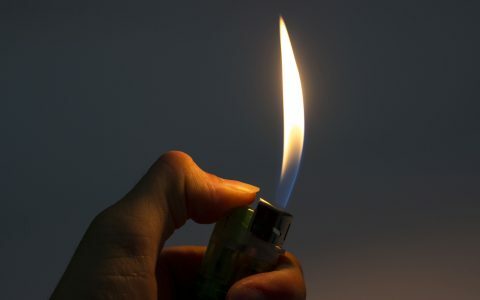 The best part of this minimalist design is that you can purchase matching décor, such as tealight holders and vases, so everything flows in a unique and stylish theme. 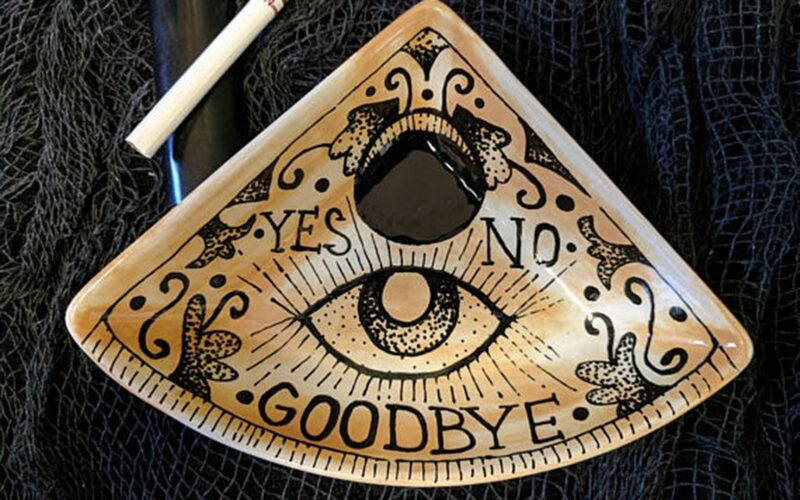 Less likely to summon ghosts than a real Ouija board (probably), this ashtray will still provide the same spooky touch with its devilish design. Striking in design with a variety of colors to choose from, these de-bowlers have convenience and quality wrapped up in a cool glass form. 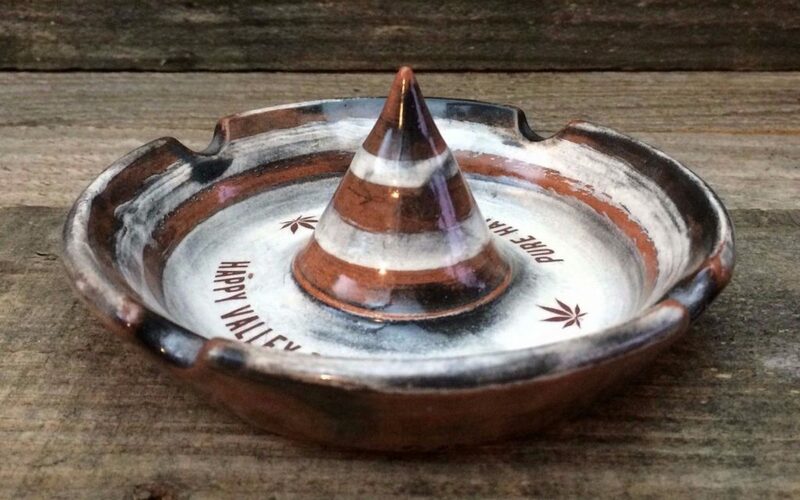 This rustic ashtray comes with a built-in de-bowler, making it easy to ash your pipe and pack a fresh bowl. 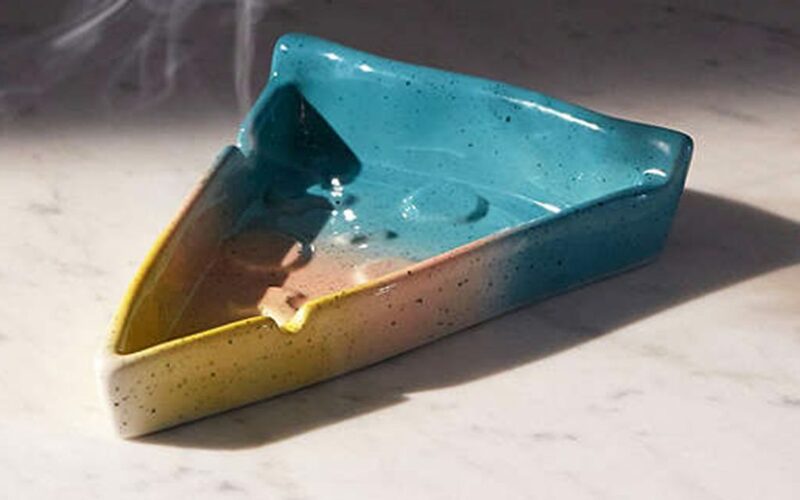 Try to keep the munchies at bay with this colorful ceramic pizza ashtray. 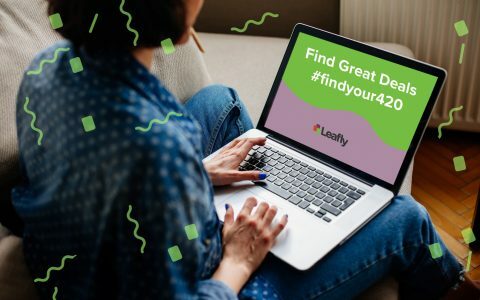 It’s a fun design paying homage to everyone’s favorite bite, so you may want to keep delivery on speed-dial before lighting up. 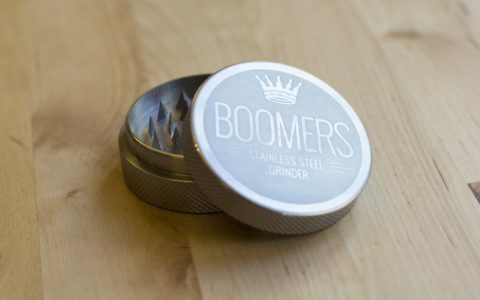 This modern steel ashtray features a lid and a pocket to hold your joint. 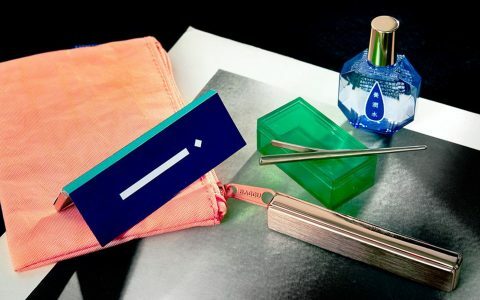 It keeps things discreet, clean, and organized. Built with convenience in mind, this ashtray has a de-bowler in the center and nooks on the side for resting your pipes. 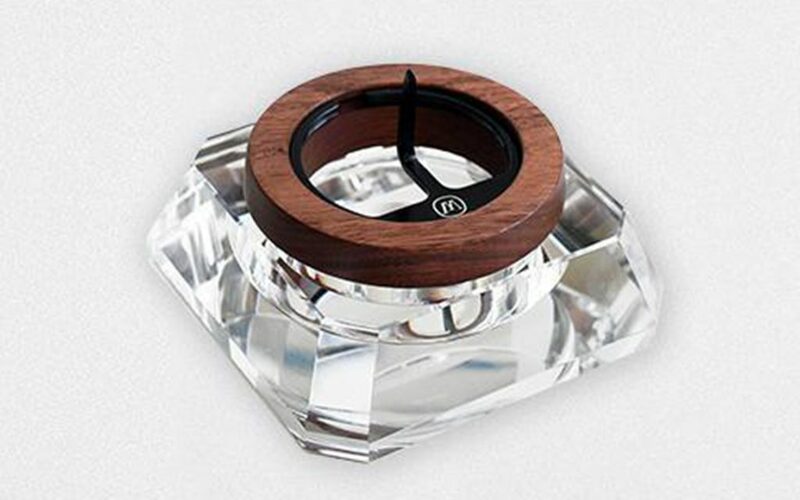 Made with clear crystal and classic wood, this stunning ashtray could be a crowd-pleaser on looks alone. 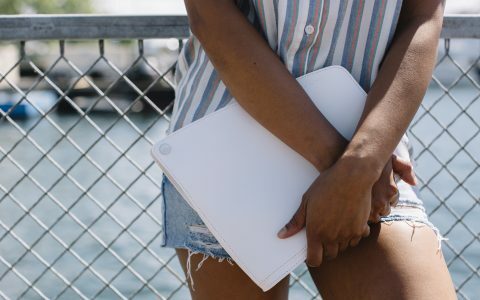 With added poker and scratch resistant felt-lined base, it’s as functional as it is beautiful. 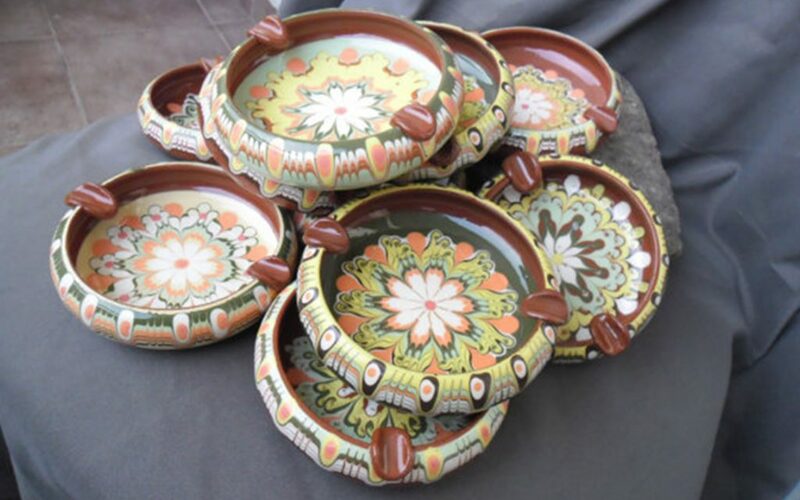 These ceramic ashtrays are hand-painted with stunning designs. 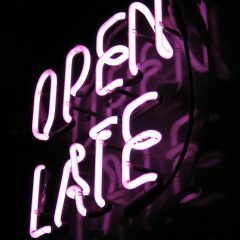 Perfect for those who appreciate beauty, art, and one-of-a-kind pieces. 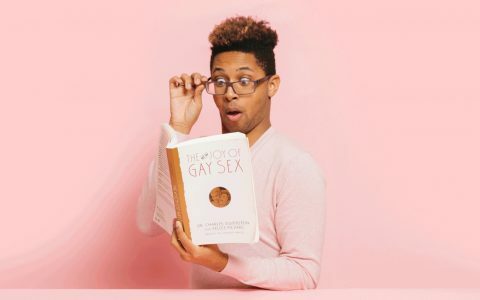 Whether you’re a bona-fide La Croix Boi, or just love recycled and upcycled products, these ashtrays made from La Croix and other cans are a great combination of personality and practicality. 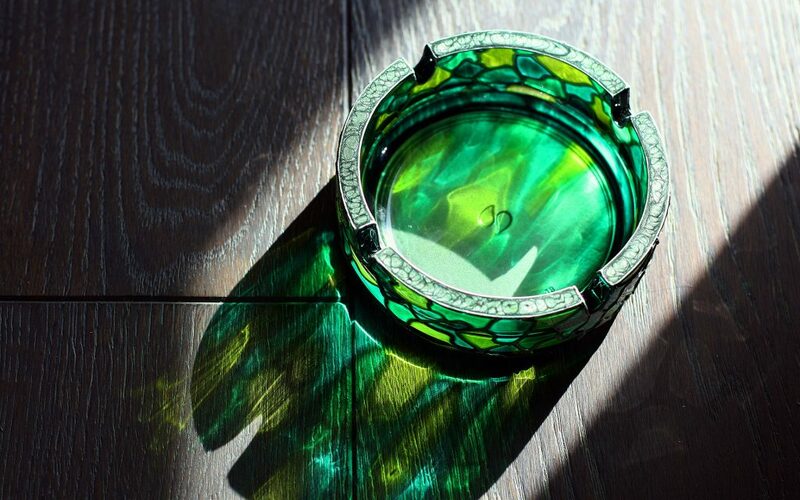 Hand-painted to resemble stained glass, this ashtray will cast a colorful display on your table when the sun begins to stream through your windows. 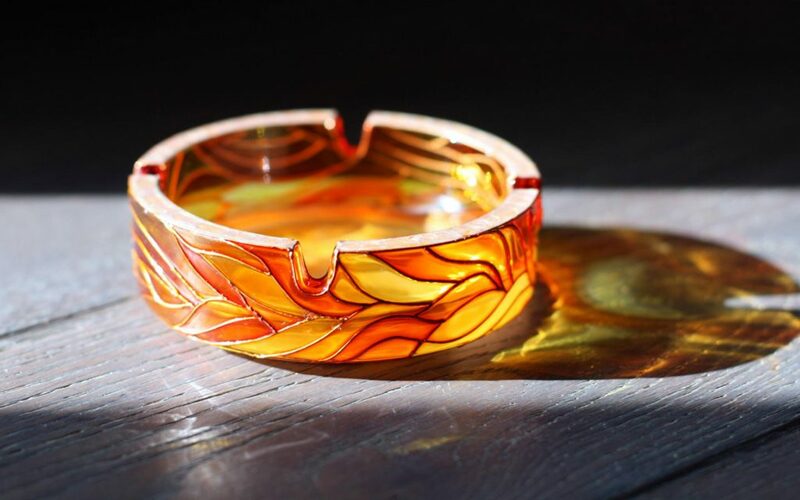 This incredible, one-of-a-kind ashtray is handmade with a sun pattern, de-bowler, and a cool, iridescent rainbow sheen. 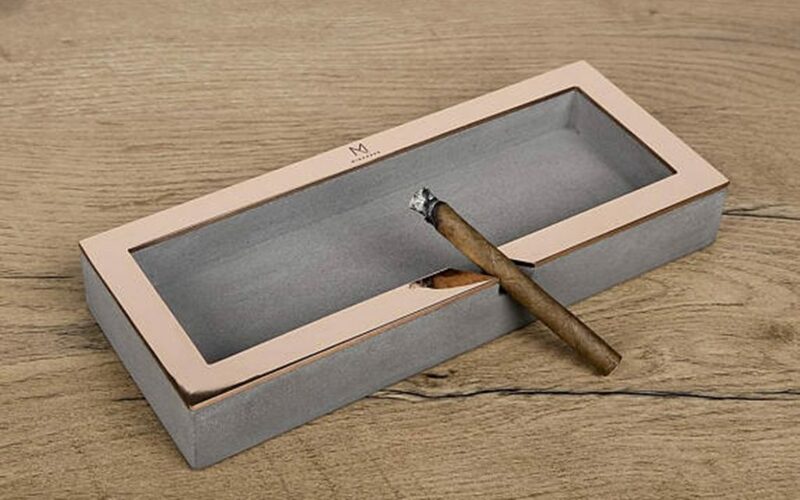 This stylish ashtray features three “rooms” or compartments, making it easy to separate your roaches from the ash. 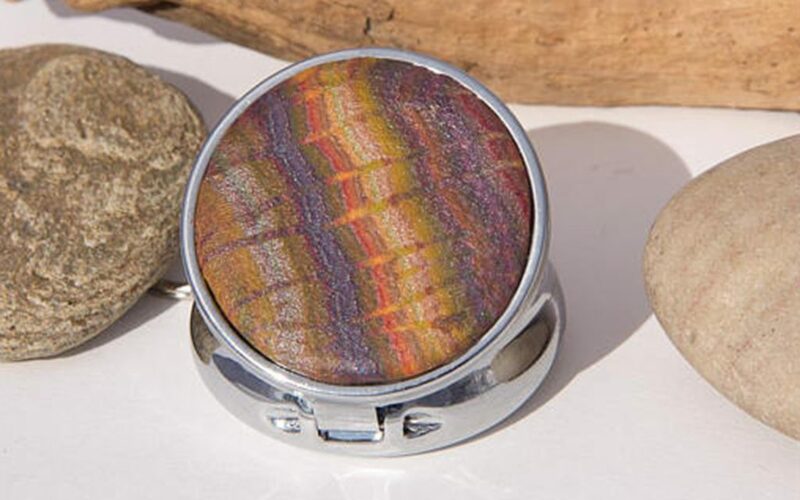 If you’re the type to carry a pocket ashtray, whether for actual ashes or storing roaches, this colorful little version conveniently attaches to your keychain. 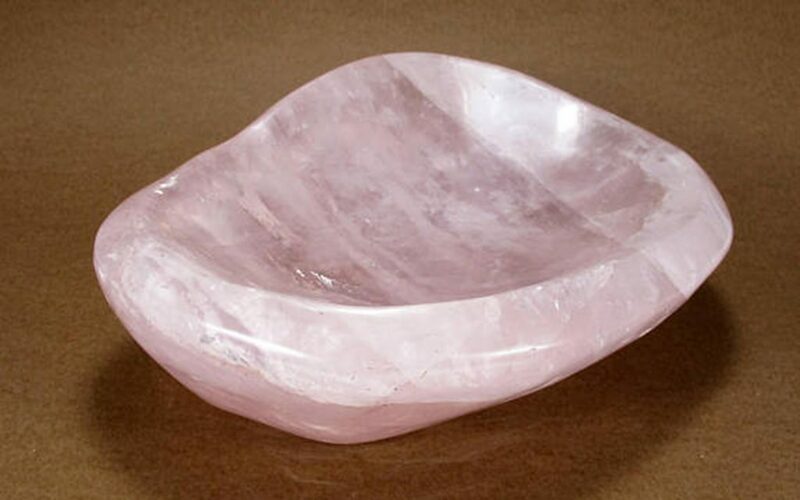 Made from genuine rose quartz crystal, this ashtray offers a dash of elegance that won’t go unnoticed by your smoking buddies—or any guest, for that matter. If you’re the type who always has a bottle lying around for this purpose, this may be the perfect tool for you. The metal ashtray sits in a bottle neck, converting any glass bottle into an ashtray. 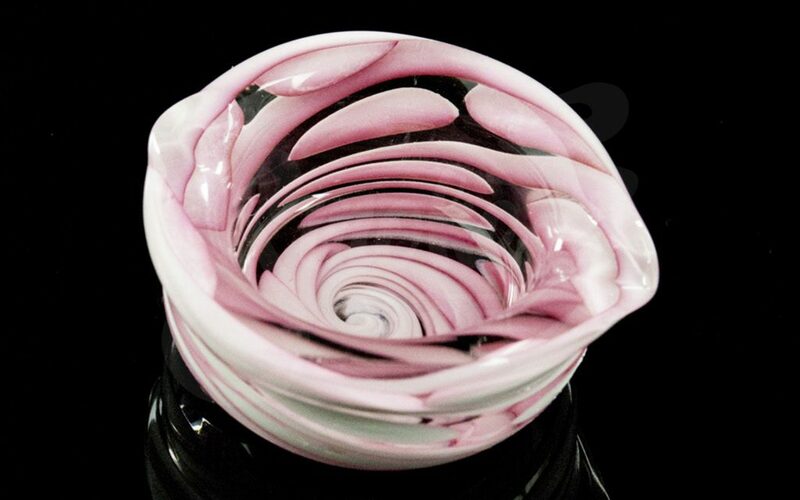 Looking just like a fresh spring rose, this pretty glass piece can function as either an ashtray or concentrate holder, so you can pair it with your individual smoking preferences. This modern-looking ashtray features a sleek form that keeps ashes out of sight and out of mind. 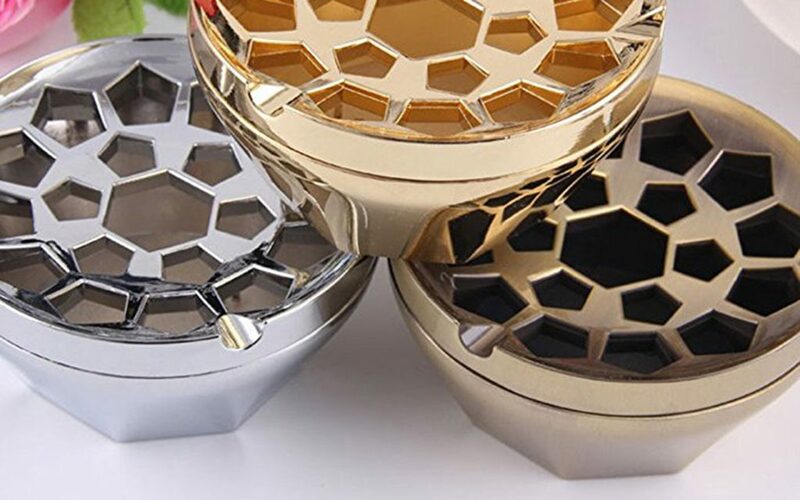 Available in silver, bronze, or red bronze, this ashtray has a unique honeycomb design on the lid which allows for easy access while still providing a bit of a cover for aesthetic appeal. 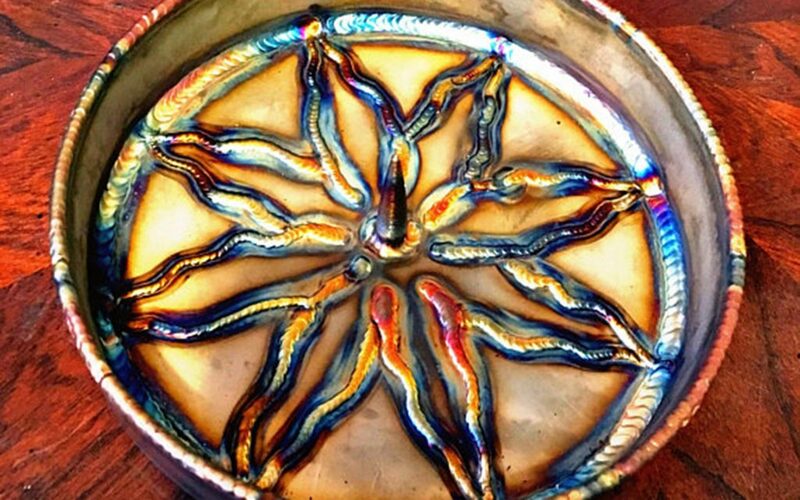 Perfect for the stargazer in all of us, this ashtray features a vibrant galaxy design and makes a great gift.